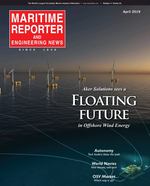 A. M. NOMIKOS TRANSWORLD MARITIME AGENCIES S. A. A. R. Larsen Co., Inc.
A.B. CURSETJEE & SONS PVT. LTD.